Last week while playing hooky taking a well-deserved break from work, I headed down to Pill Hill on my bike to check out Commonwealth Cafe and Pub. 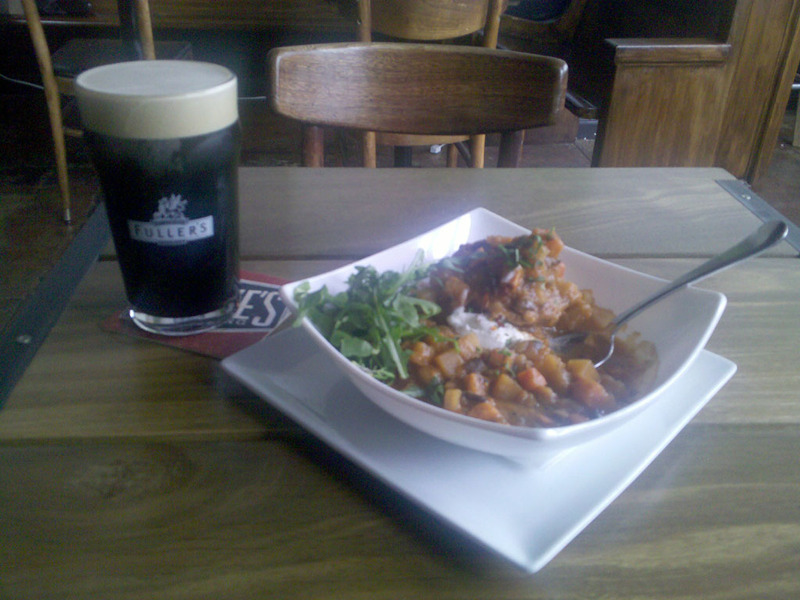 I didn't have a plan initially, but then I saw a tweet: CmonOakland Veg & Lager Stew made w/ @LindenStBrew Burning Oak Black is on! so I headed on down. 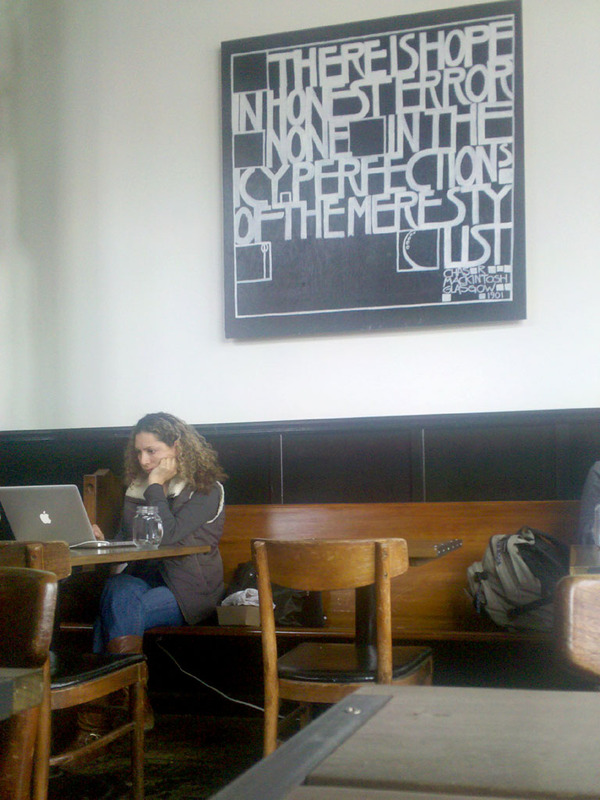 Like many East Bay cafes, there were a fair number of people there to work on their computers while nursing a coffee drink. But it's not just a coffee-and-pastries place. They also serve beer and wine and have decent-sized food menus for lunch, brunch and evening. 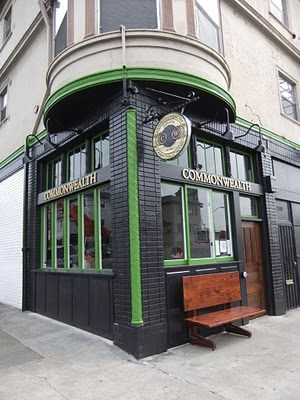 Not surprisingly with the name "commonwealth", the food, beer and decor have a decidedly British flavor, with football (soccer) showing on the telly. There was a whole different crowd there to watch football and down a pint or two. I was there for a late lunch, so I ordered a Fuller's porter and the aforementioned veg and lager stew, and thoroughly enjoyed both. (Fuller's is perhaps best known for their ESB, which to me is the defining beer of all ESBs.) It was nicely spiced, and came with a mini Yorkshire pudding. Their regular menu tends towards UK foods as well: Scotch eggs, fish and chips, ploughman's platter, shepherd's pie, bubble and squeak. Fortunately, it's decidedly much tastier than the actual English pub food I've had (insert your own joke about English cooking here), though I have to admit it's been a few years since I was there. Over at City Homestead, they're big fans of the scones (served with whipped Devonshire cream & jam) and the shepherd's pie (which seems to have migrated from the specials menu to a regular item since they reviewed it.) 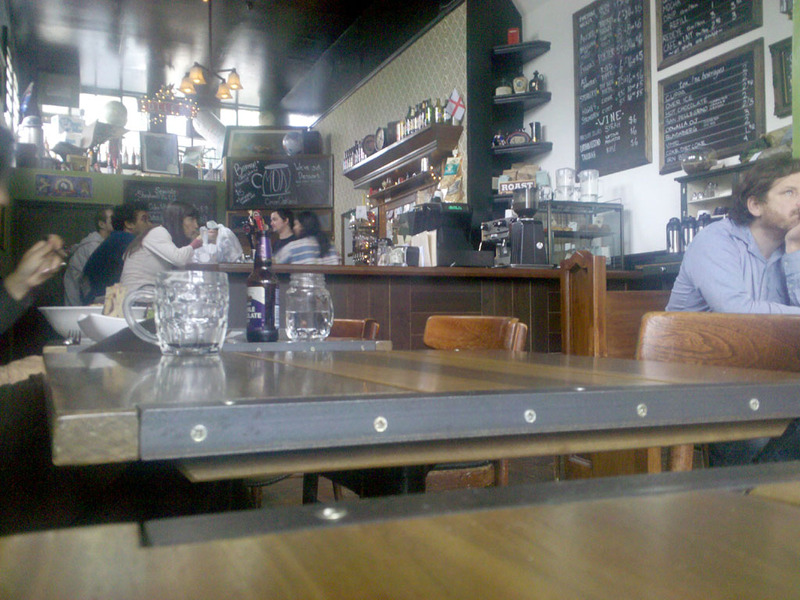 And they're delighted to have a coffee shop 6 blocks from their house. If the football on the telly, good food and beer weren't enough for me to like the place, they also feature local beers (e.g., Linden Street, Drake's, 21st Amendment) and wines (e.g., Urban Legend and Periscope Cellars). 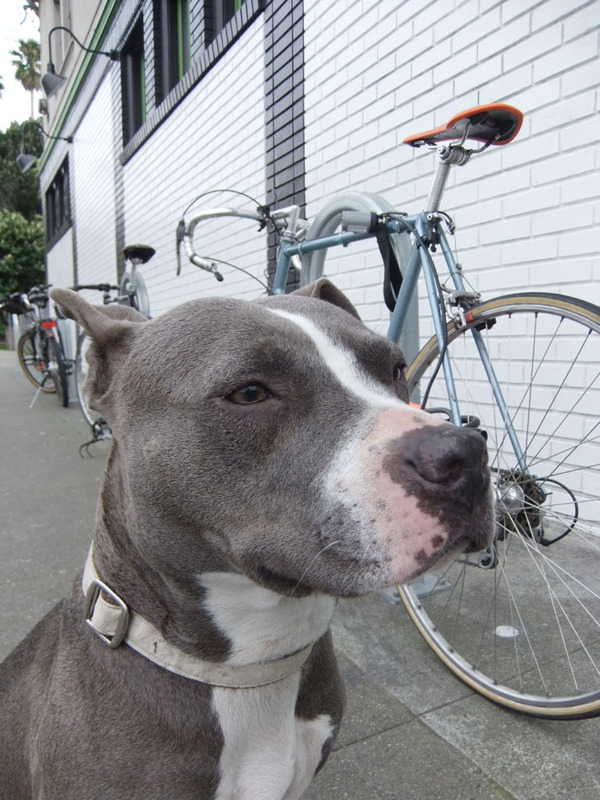 There's also ample bike parking outside which was in heavy use for bikes and dogs when I was there. But wait, there's more! It's also currently featuring a great Oakland photo exhibit by Valerie Cochran called last. oakland. Sadly, this will be her last photo exhibit here, as she's moving back to Missouri. So check out the photo exhibit before it ends in May. you are not my person. Love the exterior shot you got of the Commonwealth Cafe. Commonwealth should steal it for their website. If you have a brick and mortar, you should always include a photo of it on the website for street recognition. Internet marketing rules - according to me. I've lost your email. Sorry! Can you send me one about getting together?